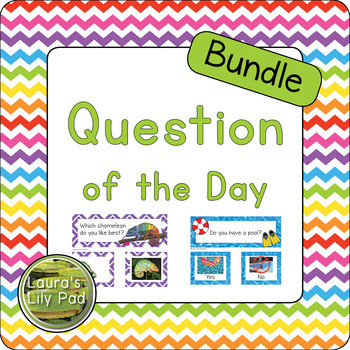 We start each day with our Question of the Day, so Pond Life week started with questions about turtles, frogs, and dragonflies from my Animals set. I like having questions with photos, especially for students who may not have seen any of these creatures in real life. On our fine motor and math table we played Feed the Frog with black pom pom flies. I found the trash can at the local Dollar Tree, but they do not currently have them in stock. I have seen other versions that use a parmesan container as well. I would like to get some plastic flies (aff. link) to go with this game. I had students roll the die to see how many flies to feed the frog with the tool. I made a spinner for this path game so there would not be competing dice on the same table. Students move their frog along the lily pad path to the finish. These frogs (aff. link) look like the set I have used in several places in my classroom, including this game. I also used the frogs in my sensory bin with water and pony bead and pipe cleaner tadpoles with green foam lily pads. I used these ABC Turtles from maketaketeach, along with letter tiles for some work on letter sounds. 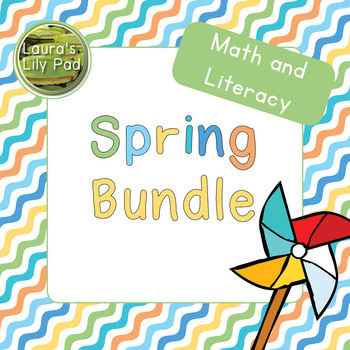 This is a center that mostly required some assistance from myself or my assistant to at least get them started with the activity since many know their letters, but are still working on letter sounds. For the Pond word building students had to be able to match up lowercase and capital letters. 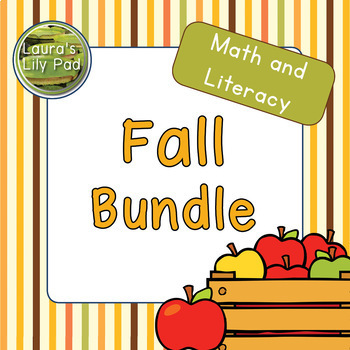 You can find the cards for this at A Teaching Mommy, along with several other printables for this theme. I try to have my students sometimes match lowercase to lowercase and sometimes capital to lowercase or lowercase to capital letters when we use the letter tiles. My writing center had a die with letters on it to practice writing on this sheet from PreKinders. However, a couple girls ended up doing the heart grid above during their time at this center. I promised to take a photo of it for one of the girls. We are watching our caterpillars grow, so they are on the science table, along with frog life cycle stamps, some Pond Life words and some magnifying lenses. Pond Life words were found at Sparklebox. This is a UK website, so be sure to check wording and spelling for printables there. I put out our Pond Life puzzles for my students to work on the large rug. These are challenging puzzles, with no picture underneath, so are good for this time of the year. The puzzles are say Excellerations by Discount School Supply on them, but I cannot find them anywhere online to share a link. I could have used my frog themed calendar this month as well, but chose to use the insects set instead since I really like all these cute insects in this set. We are also growing our caterpillars into butterflies as well as doing an insect theme this month. 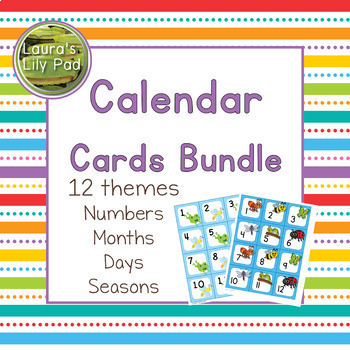 If you really have a hard time deciding which calendar numbers to use each month, please check out my bundle. During story time we used several pond animal themed books. There are affiliate links to them below so that you can get a closer look at them by clicking on the book covers. This version of Five Little Ducks is a board book with cut outs. I usually use this one during farm week and read the next one during ponds week. The illustrations by Ivan Bates in this version of Five Little Ducks are really cute. I like how each duckling has something to give its mother when they return. Jump! is one of those chain stories. Each animal jumps because of a larger animal. The version I have also has Spanish in it. Frog and Toad stories are fun to share at this time of year because students are better at longer stories. They also enjoy hearing stories that involve characters they know. It’s Mine! by Leo Lionni is all about some frogs that are selfish and how they learn not to be. I channel my inner three year old to read the lines of the selfish frogs. This one has some great photos of frogs without filling the page with too many words for a preschooler to handle. During our Nocturnal Animals week I pulled out the bat building activity that I created last year. It was inspired by a bat counting craft on Fantastic Fun and Learning. I painted the parts of the egg carton black and put colorful eyes on the bat bodies. Wings are craft foam with puffy paint (referral links) letters. I chose to use three different colors for the letters to make it easy for me to give a hint to a student who was having trouble finding a match. I could tell them that it needed to be the same color. The owl number matching activity was from KidSparkz on TPT. I sometimes use this tabletop pocket chart (referral link) for matching games for my students. It tends to draw some of their attention when just placing the cards on the table would not. For my easel this time we had letter matching magnets. You will notice that some of the letters are capital and some lowercase for some mixed practice. Looks like this one is not still available online due to being updated. 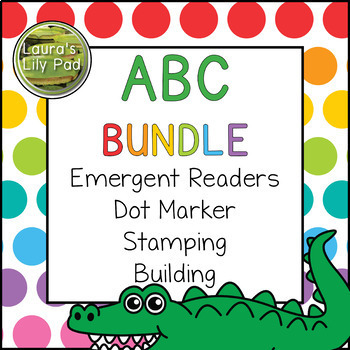 I do have an Alphabet Magnets set that I use at other times that you can find here. Mine is based upon working on just a handful of letters at a time. 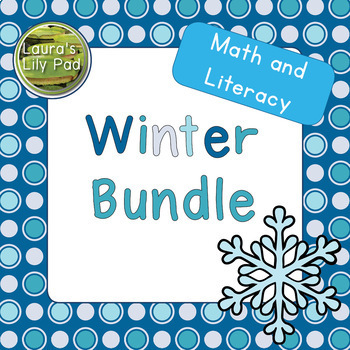 My timing was not the greatest for this sensory writing activity since we had done something similar recently with our winter theme, so this one was not quite as popular this time around. I do try to avoid doing similar activities on back to back weeks for the most part. I found the word cards here. About this time of year is usually the right time to open a post office in dramatic play. My students love making cards and letters for each other and manage to practice lots of fine motor control and alphabet formation in the process. 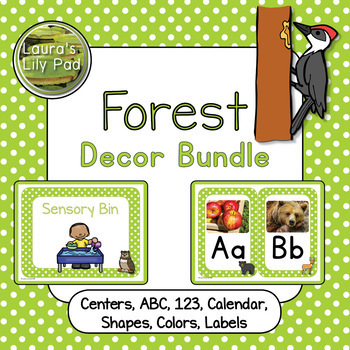 Most of the printables for the dramatic play area came from this set from Primary Delight. I had a blue bag that I used puffy paint to write the word “MAIL” on for the postal worker bag. The mailbox came courtesy of our class photo company a few years ago. It was where unwanted photo packages and payments were to be delivered. Afterwards I painted it blue and put the label on it. The kids loved filling and emptying it. Each student has his or her own mailbox for mail to be delivered. Some of the mail was junk mail donated from home and other mail was created by the students. In addition we had some boxes that I put velcro on with the matching velcro on a laminated label. Students enjoyed attaching the labels and deciding who would get the package. We also read several nonfiction books about various nocturnal animals. Any favorite books about nocturnal animals that you love and would like to share? This year we only had a week for transportation as opposed to two weeks last year, so I had to squeeze in my favorites. Besides the bin full of train tracks from IKEA, my sensory bin was one the favorites of the week. I put some packing “peanuts” in the bin along with some plastic vehicles for filler. I used my Transportation Sort cards in the bin. I laminated the cards and placed several staples in each so that the magnet fishing poles (Amazon affiliate link) could catch them to sort. I was fortunate to find a Melissa & Doug Magnetic Picture Maker (Amazon affiliate link) on clearance a few years back at a craft store. Although my students may not have completed the pictures, they did enjoy using the magnet to move the little circles. I will pull this out later in the year when they have more stamina and a bit more fine motor control to see how successful they are. My students still love anything related to dot markers and dice, so the Transportation Roll and Graph was completed by several students. Some even kept rolling until all of the vehicles won. This roll and graph is made to go up to five instead of ten to meet the stamina of my students. 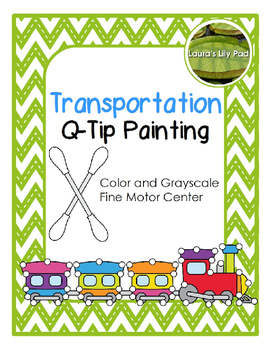 Something else my students really enjoyed this week was the Transportation Qtip center that I somehow managed not to get in a photo. Since we had several weather issues and some health issues in my home, I did a quick train station pretend play area. My photo does not include the extra box that ended up being the engineer’s car. The students have been very busy with the simple area, buying tickets, driving the train, handing out tickets, climbing in and out of the train, and fixing the train. For my writing center this week we did the Transportation Stamp and Write. My students are starting to remember how to do this since we have used similar pages in the past. I use the Melissa & Doug stamp set (Amazon affiliate link). For some additional alphabet practice, we used my Lowercase Alphabet Building Set with the last six letters of the alphabet that we have learned. I am very happy that my director found the Excellerations Linking Cubes and Triangles Set (Amazon Affiliates Link). I think the triangles make the letters look more like the real thing and give a bit more challenge. For some other transportation ideas, please check out the art project results from one of my past years. I have not yet had a chance to photograph this year’s results.